Clik lets you take control of any screen with a browser with your smartphone. 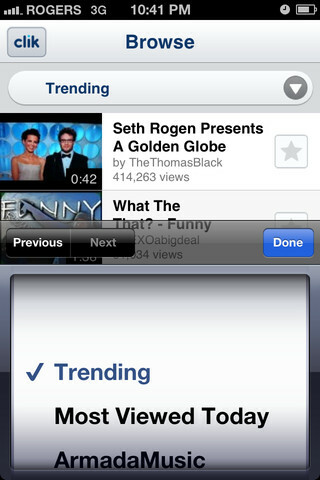 To put it simply: it makes your mobile phone a remote control for any device with a browser. And all you need in order to do that is a screen that has a browser and the Clik app on your phone (you don't need to install anything on your screen device). The way Clik works is really simple: you open the browser on your screen (let's say on your desktop pc) and go to ClickThis.com. On the screen you'll see a QR code. 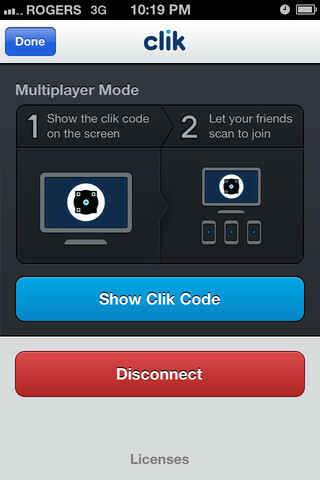 Scan that QR code with the Clik app on your phone, and BAM, you're connected and controlling your screen. This is really cool since it doesn't require you to buy any new hardware in order to connect the two devices, and you don't even need to install anything on your big screen device. Currently Clik is limited to playing YouTube videos but its developers, which also developed Kik Messenger, say more will be coming. It already lets multiple phones sync up to a single screen, so things like playing online games with a friend where each of you has a phone as the controller, should be coming around soon. 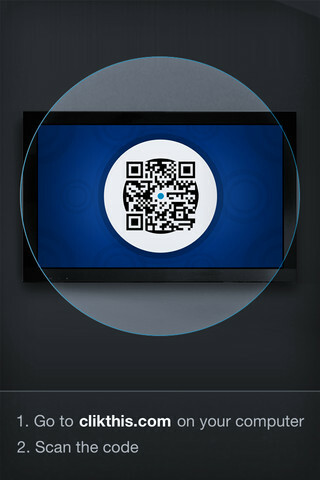 The remote control app is available for both iPhone/iPad and Android and is free on both platforms.